Ensure that knowledge can be accessed quickly and efficiently in any channel. Centralise your knowledge and access via web self-service, mobile applications, email, chat, social media, or any other customer engagement platform. Inspire loyalty by showing customers that you value their time with quick resolution to their queries. Your organisation may be complex but that doesn’t mean finding knowledge should be. Making dynamic, contextual 1-2-1 company and product knowledge available to both customers and agents can be game changing for any business. To keep up with today’s technology you need to be agile enough to provide information about your business effortlessly and in any channel, whether self-service or agent led. 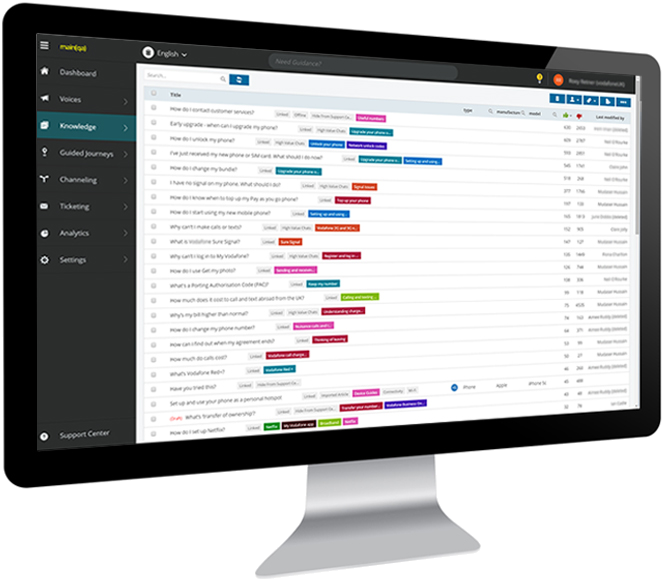 The Nanorep knowledge management solution can provide you business with a consistent, unified, single source of truth for both your customers and support agent which ensures that, no-matter the channel, your customers always receive support which is relevant, simple to understand and on brand.